So Why all the Hype About LEDs? LED lighting is a huge leap forward in technology, which is going to benefit both our environment as well as your customers spending for electricity. The below list gives you an idea of how revolutionary LED lighting is and how it will be the future of signage lighting in Australia and around the world. Cost Saving: LED lights run on 90% less energy than standard halogen lights, and with up to 50% of an electricity bill comprising of lighting, thats a huge saving over a year. Colour: LEDs can emit light of an intended color without the use of color filters that traditional lighting methods require. This is more efficient and will lower ongoing costs. 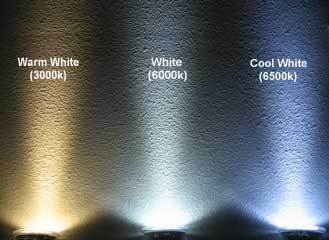 LED Lighting can come in many different colours, the most common of these in house usage lights are Warm White, and Cool White. The standard for signage in Australia is White to ensure true color representation.